Mukhtar Mai is from a small tribal village in Pakistan. In 2002, her brother was accused of sexually molesting a woman from a wealthy land-owning clan. What happened next was horrifying, says singer and composer Kamala Sankaram. 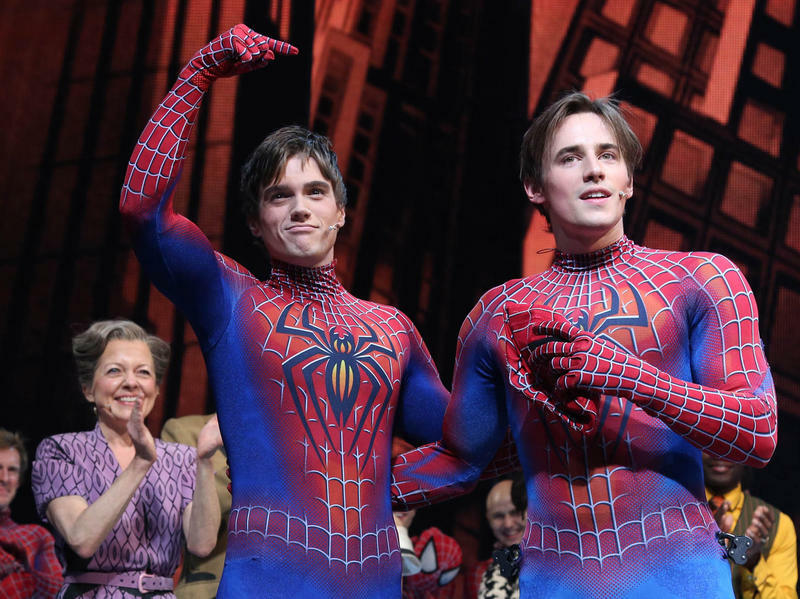 Regardless of how critics and audiences eventually responded, Spider-Man: Turn Off the Dark was always going to be one of the most-discussed shows in Broadway history. It had songs by U2's Bono and the Edge; it was directed by The Lion King's Julie Taymor; it was based on a hit Marvel franchise; there were going to be flying stunts right over the audience's heads. And then somehow it all went very wrong, from injured actors to huge cost overruns. 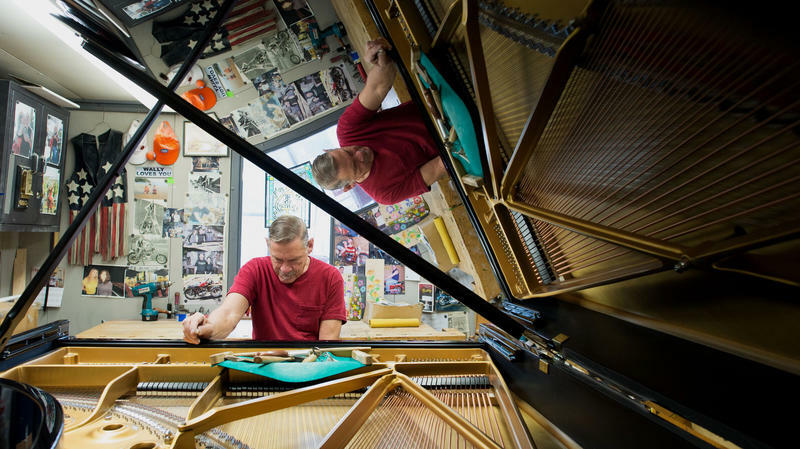 For 160 years, the pianos made by Steinway & Sons have been considered the finest in the world. So when hedge fund billionaire John Paulson recently bought the company, it struck fear in the hearts of musicians: Would the famously handcrafted pianos be changed, for the sake of efficiency? Paulson, who owns several Steinways himself, says nothing will change. 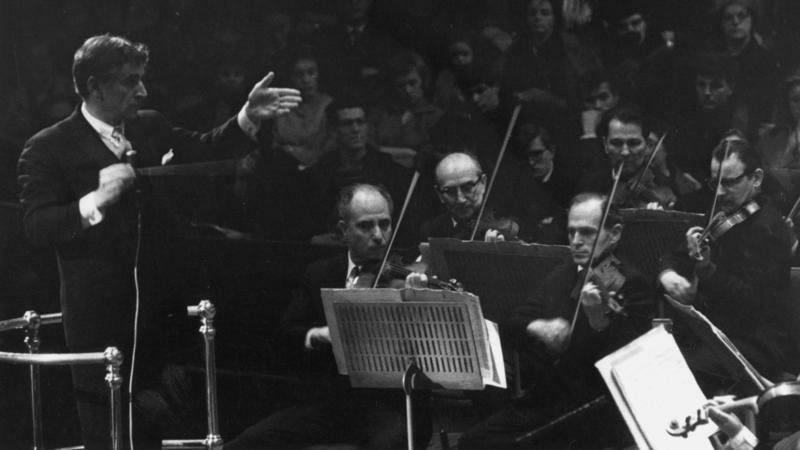 Leonard Bernstein was a singular American genius. 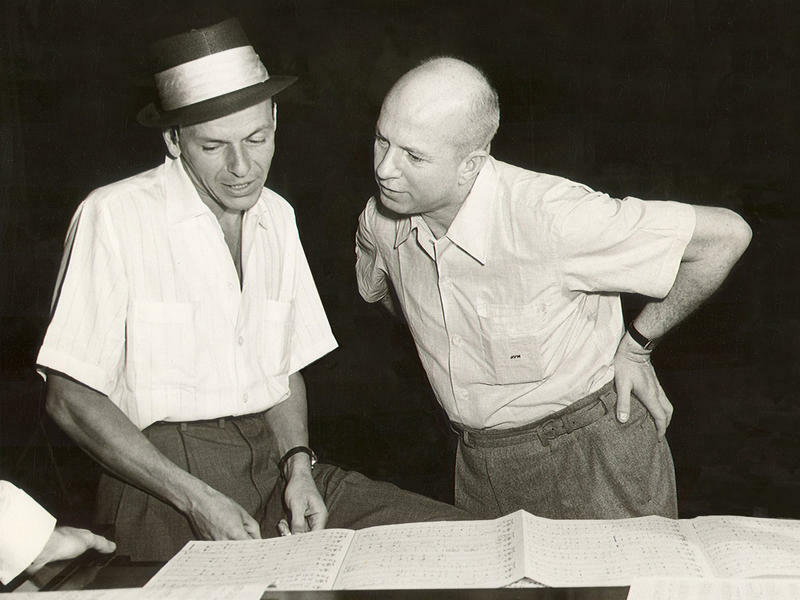 One of the great orchestra conductors of the 20th Century, he was also a composer of hit musicals like West Side Story, as well as symphonies and ballets. He was a teacher and television personality — his Young People's Concerts introduced generations of children to classical music. Broadway composer John Kander is a living legend: With his songwriting partner, the late Fred Ebb, he created the scores for the smash hit musicals Cabaret and Chicago, as well as the enduring anthem "New York, New York." Now, at 86, Kander has a new writing partner — and a new musical, The Landing, opening off-Broadway Wednesday. 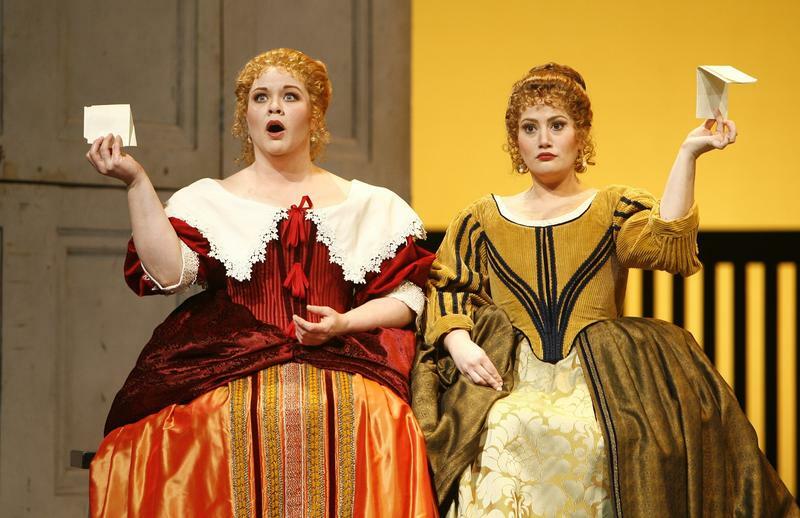 This morning the New York City Opera announced that it was declaring bankruptcy and ceasing operations. Dubbed "The People's Opera" by Mayor Fiorello LaGuardia when it was founded 70 years ago, the company was meant as an alternative to the richer Metropolitan Opera. 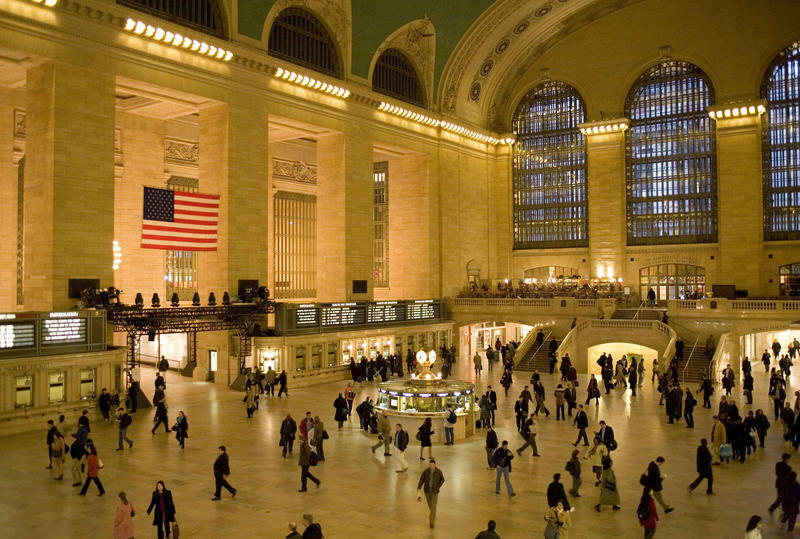 It's the place where exciting young singers like Beverly Sills and Placido Domingo made their New York debuts and where innovative productions of new operas premiered. Pop-culture aficionadoes will know Zachary Quinto as Spock in the cinematic reboot of Star Trek, and Cherry Jones as President Taylor from television's 24. But both are accomplished stage actors as well. 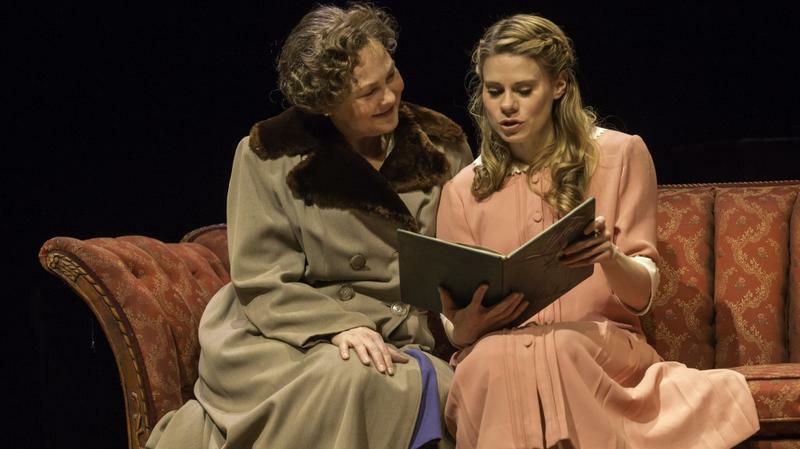 And tonight, they're opening on Broadway, in a revival of Tennessee Williams' classic play The Glass Menagerie. A few years ago, after songwriter Michael Friedman and writer-director Alex Timbers had finished working on their cheeky historical musical Bloody Bloody Andrew Jackson, they decided to look for a new project to work on. Friedman says they wanted the next show to have a completely different feel. "So we started looking at Shakespeare," Friedman says. "And then, I think, we came to sort of, 'How amazing would it be to work on a romantic comedy?' "
And finally this hour to the theater. By and large, plays and musicals are passive experiences: you sit and watch others perform. 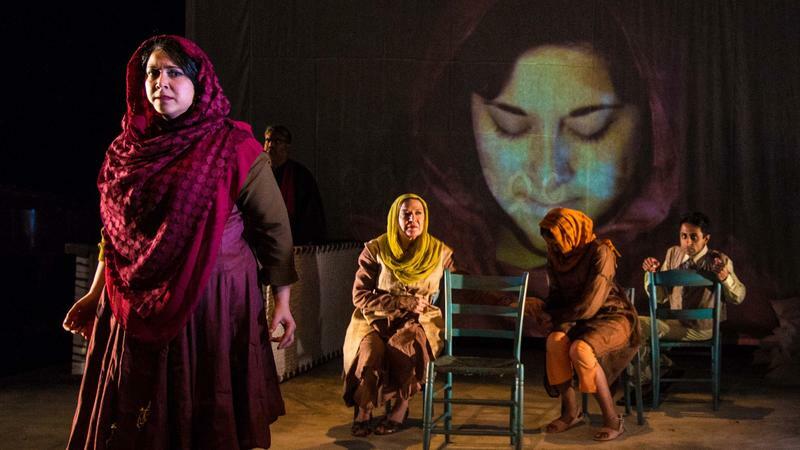 Jeff Lunden has this story about three off-Broadway shows that encourage the audience to move. 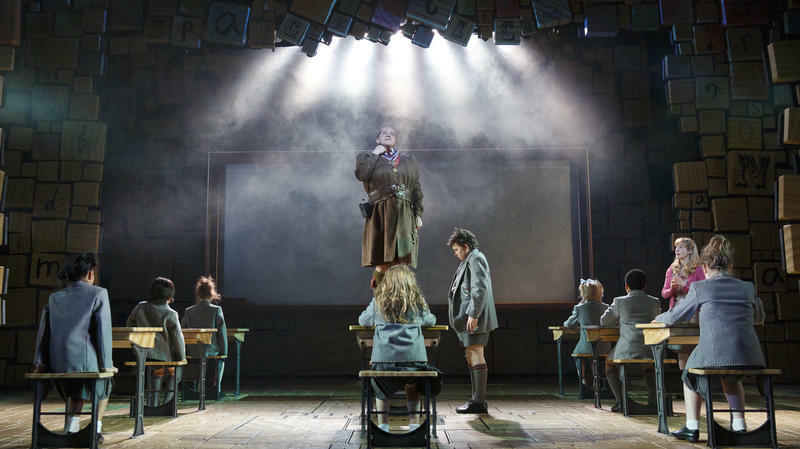 Matilda is a well-loved book by Roald Dahl, who's been called the greatest children's storyteller of the 20th century. It's about a much-put-upon little girl with tremendous gifts. 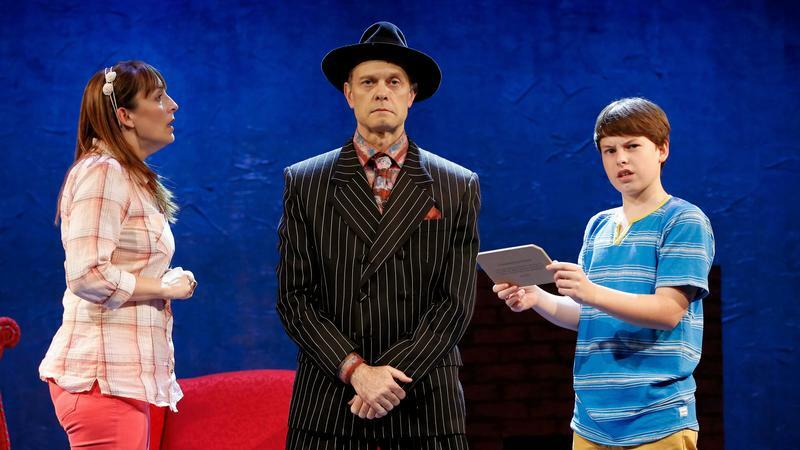 Now, Matilda has been turned into a Broadway musical. 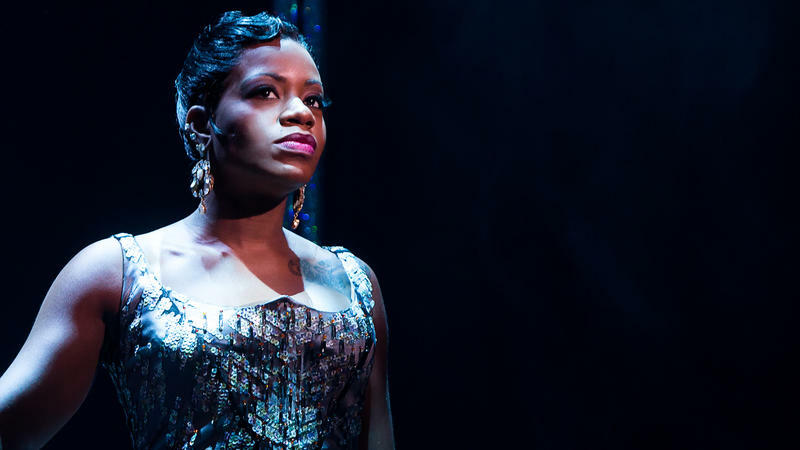 The British import, which won last year's prestigious Olivier Award and features a revolving cast of four little girls in the lead role, opens in New York tonight. Minnesota-born composer Maria Schneider has called New York home for more than 30 years, and she knows how to find nature in the middle of the city. Because her new album is called Winter Morning Walks, we walked to her favorite bird-watching spot in Central Park on a chilly February morning. 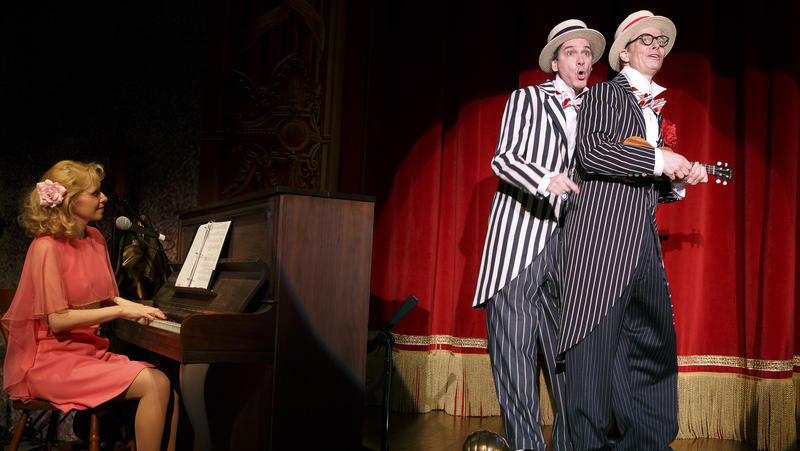 Twenty years ago, theatrical clowns Bill Irwin and David Shiner collaborated on a Broadway show called Fool Moon — a giddy mixture of slapstick, improv and audience participation that proved such a success that it came back to Broadway for two more runs and toured both the U.S. and Europe. 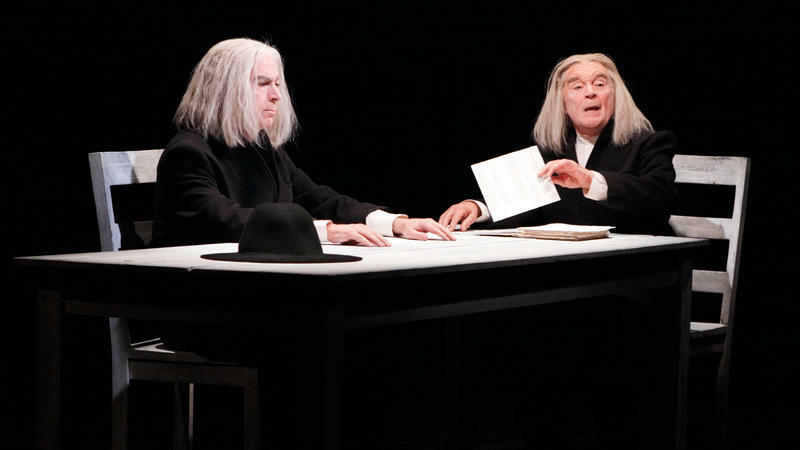 Now Irwin and Shiner have put together a new show called Old Hats, and it's been receiving rave reviews off-Broadway. 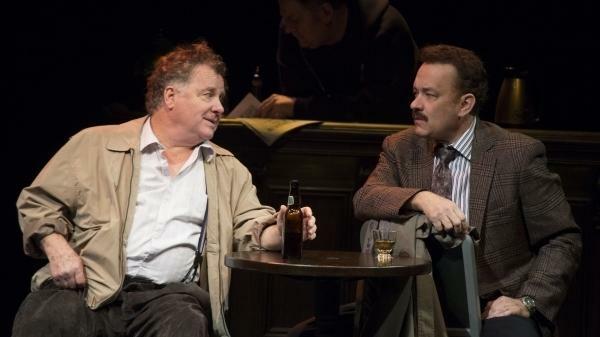 Irwin and Shiner's rubber-faced, loose-bodied clowning hasn't gotten easier over two decades. 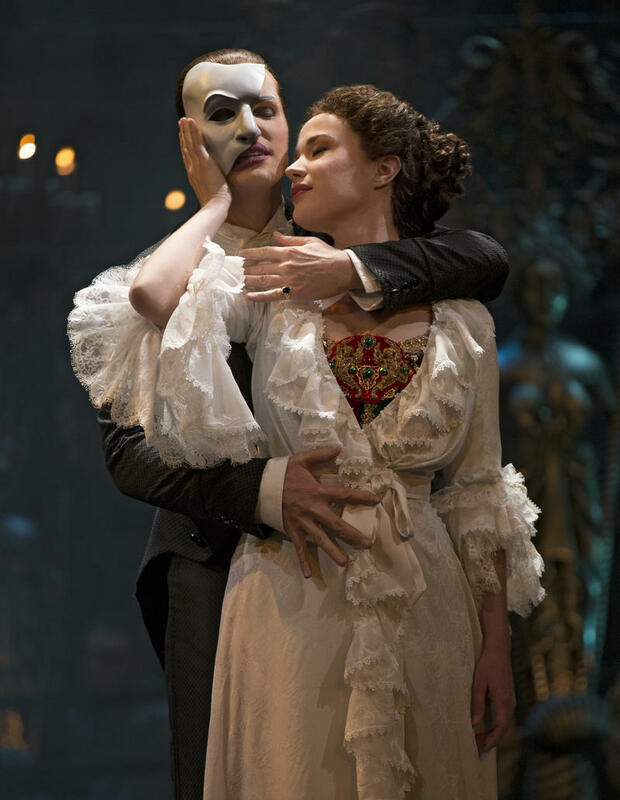 The longest-running Broadway musical ever, Andrew Lloyd Webber's The Phantom of the Opera, celebrated Saturday another milestone: its 25th anniversary. When it all started Jan. 26, 1988, Ronald Reagan was president of the United States, a gallon of gas cost about 90 cents and a ticket to The Phantom of the Opera was a whopping $50. It was the hottest ticket in town. Times have changed, prices have changed, but that disfigured, tortured genius who haunts the Paris Opera House, creating havoc and causing the chandelier to fall, has endured. The cliche about writers is they should write what they know, and that old saw has certainly worked for Quiara Alegria Hudes. The 35-year-old playwright has mined her Puerto Rican family's stories into a series of plays, a musical and even a children's book. 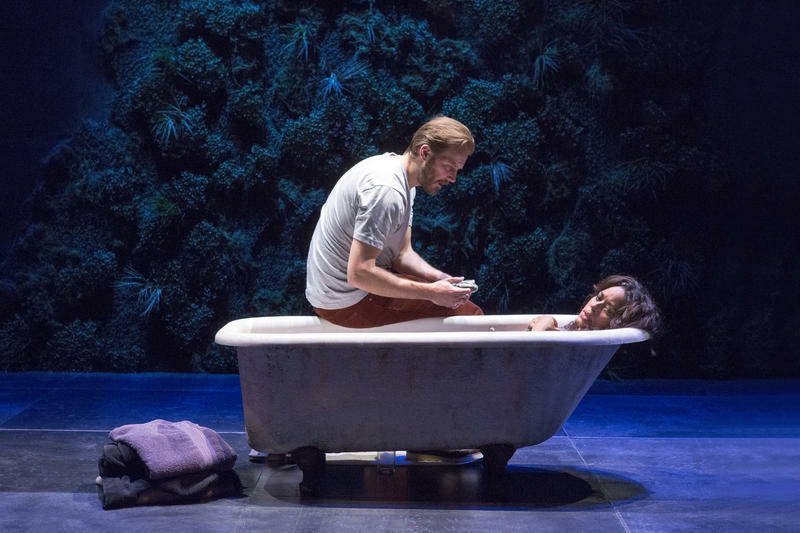 Now, her Pulitzer Prize-winning drama, Water by the Spoonful, is being brought to life in the first New York production of the play, opening off-Broadway on Tuesday evening. 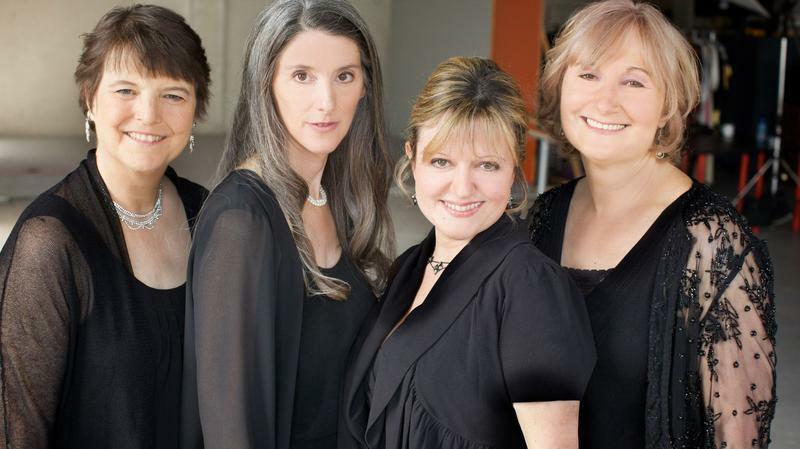 As of this year, the vocal group Anonymous 4 has been introducing modern audiences to medieval music for a quarter century. When the all-female quartet asked David Lang to help mark the occasion by writing them some music, he didn't need any convincing. The Pulitzer Prize-winning composer was already a big fan. 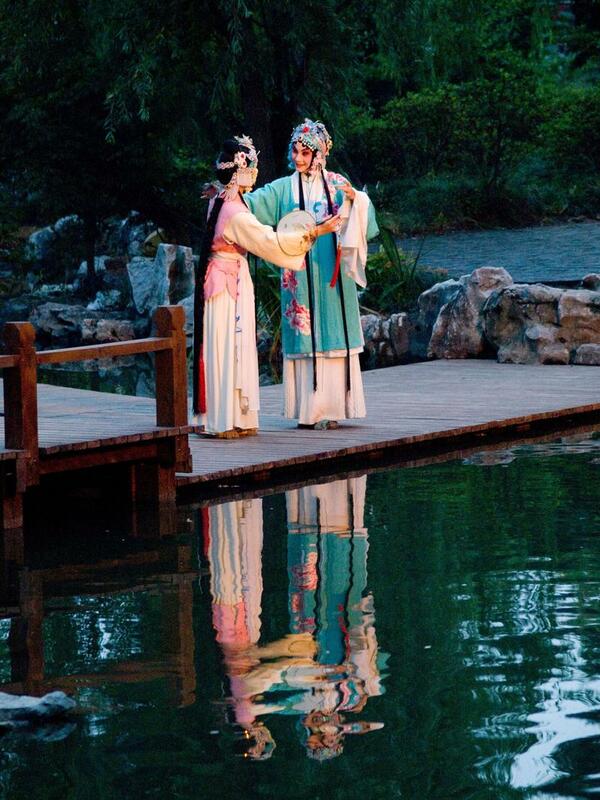 The Peony Pavilion is one of China's most famous operas, but uncut performances of this romantic 16th century work can take more than 22 hours. Chinese composer Tan Dun, who's best known for his Academy Award-winning score for the film Crouching Tiger, Hidden Dragon, has adapted the work into a compact 75 minutes. 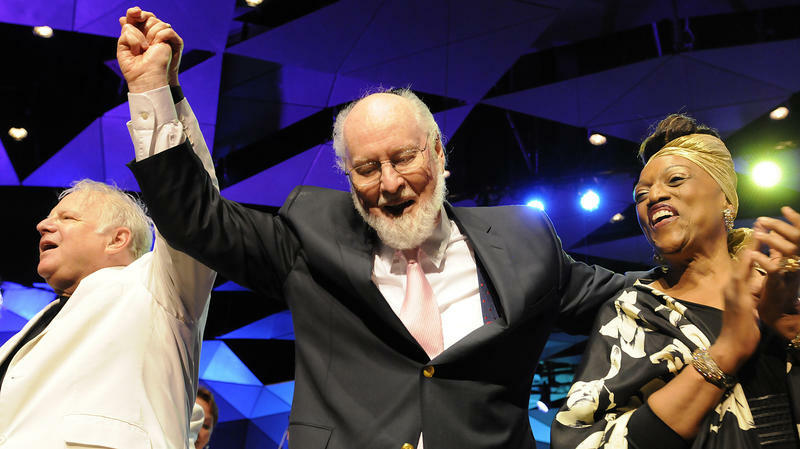 For more than 50 years, John Williams' music has taken us to galaxies far, far away through adventures here on earth, made us feel giddy joy and occasionally scared us to death. 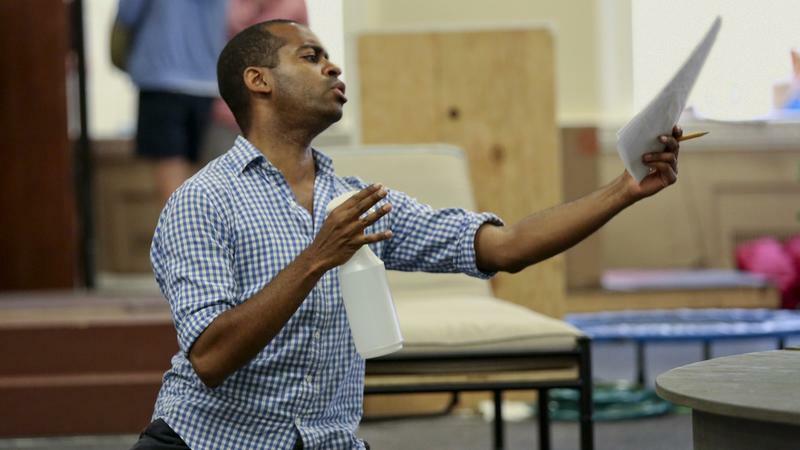 A much-anticipated revival of The Heiress, a 1947 play based on the Henry James novella Washington Square, opens in New York on Thursday. 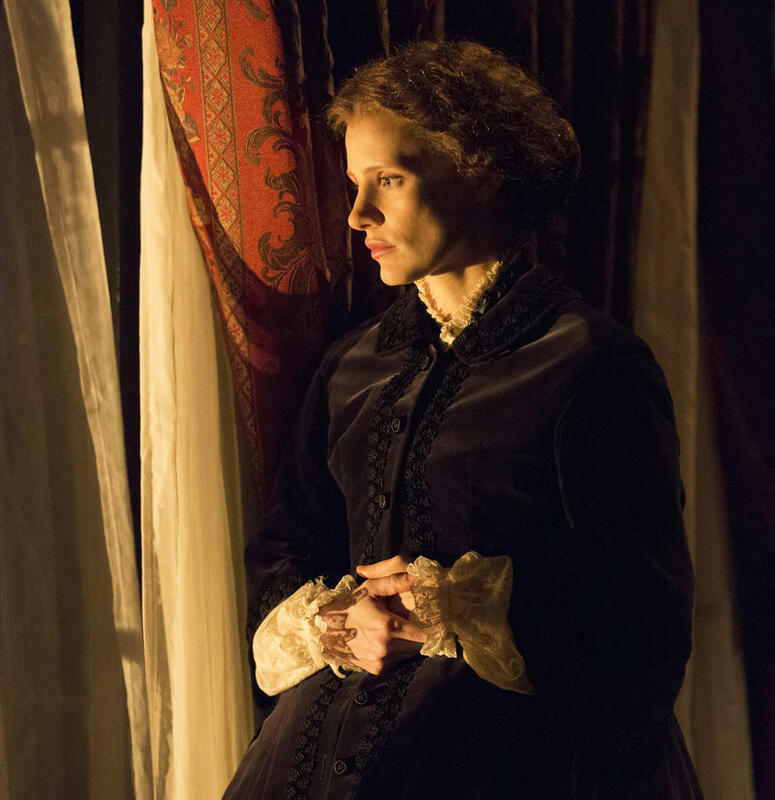 It marks the Broadway debut of two accomplished young stars — Jessica Chastain, the Academy Award nominee from The Help, and Dan Stevens, from the hit television series Downton Abbey. Everywhere you look right now, it seems like American symphony orchestras are fighting for their lives — strikes, lockouts, bankruptcy. Perhaps the biggest example is the world-renowned Philadelphia Orchestra, which is just coming out of its own bankruptcy. Tonight, its new 37-year-old music director takes the podium as the venerable orchestra begins a reboot. 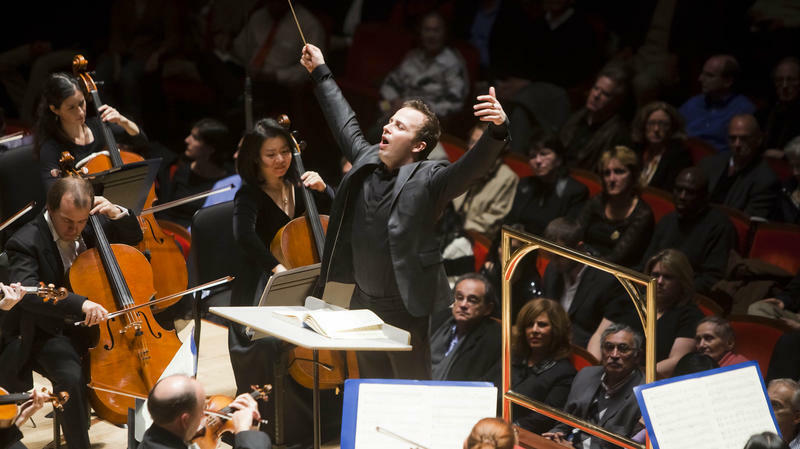 It's been a tumultuous time for American orchestras. 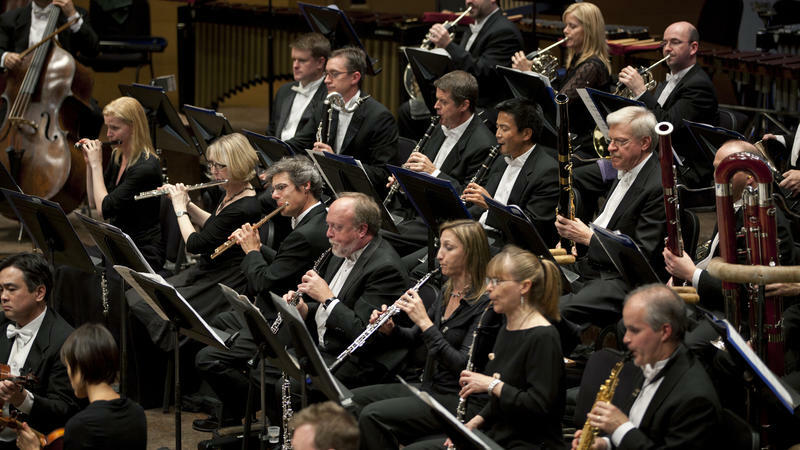 Labor disputes have shut down the Minnesota Orchestra and Indianapolis Symphony, and strikes and lockouts have affected orchestras in Chicago, Atlanta and Louisville in the past year. It all began last year, when the Library of Congress presented Samuel Beckett's Ohio Impromptu alongside a piece of music by composer Dina Koston, which responded to the text. A New York group, the Cygnus Ensemble, played the music, while Washington, D.C., director Joy Zinoman staged the play, for one night only. Viola da gamba players are a special breed — a tiny subset in the already small world of early classical music. They rarely meet their own kind, but once a year they come together for a week in July at an annual jam session they call a conclave. 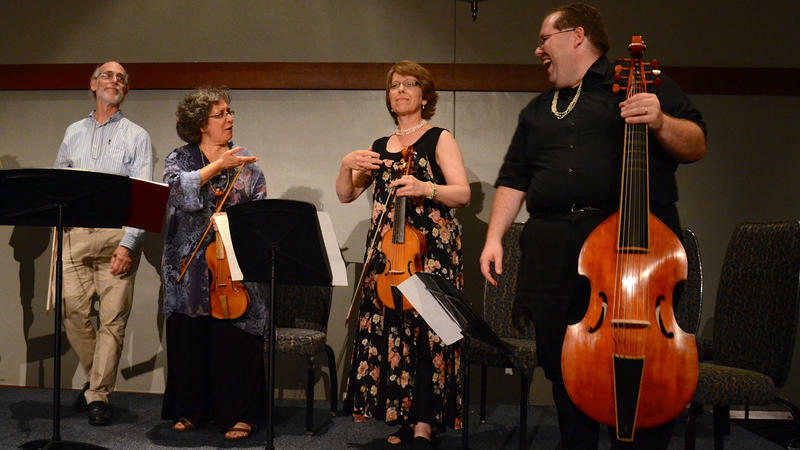 Wendy Gillespie, who just finished her term as president of the Viola da Gamba Society of America, says attending the event is the highlight of her year. 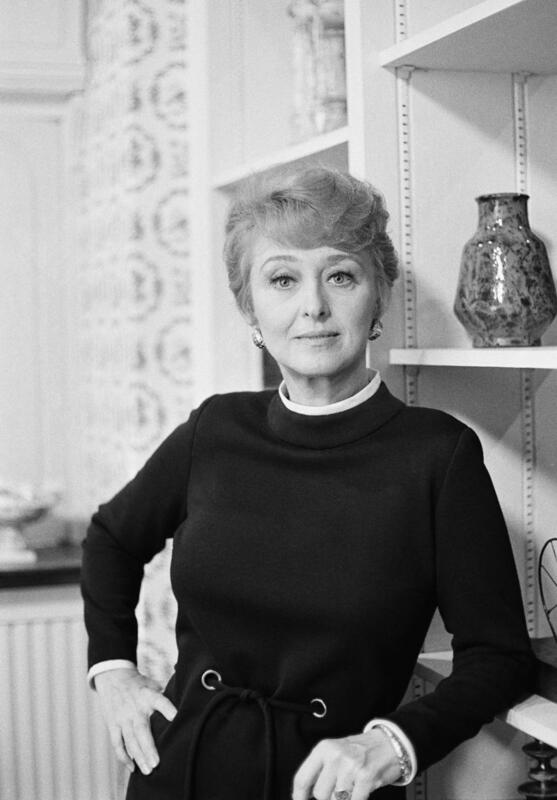 Academy Award-winning actress Celeste Holm has died. A star on both stage and screen, Holm was best known for roles in Gentleman's Agreement, All About Eve and Oklahoma! She was 95. Holm died early Sunday morning in her Manhattan apartment with her husband, family and close friends by her side. She had been hospitalized a couple weeks ago following a fire in actor Robert De Niro's apartment in the same building. If there was one role that put Holm on the map, it was as the coquettish Ado Annie, in the 1943 hit musical, Oklahoma! It now seems like a natural rite of summer — open-air classical music festivals where audiences can hear great music while picnicking under the stars. 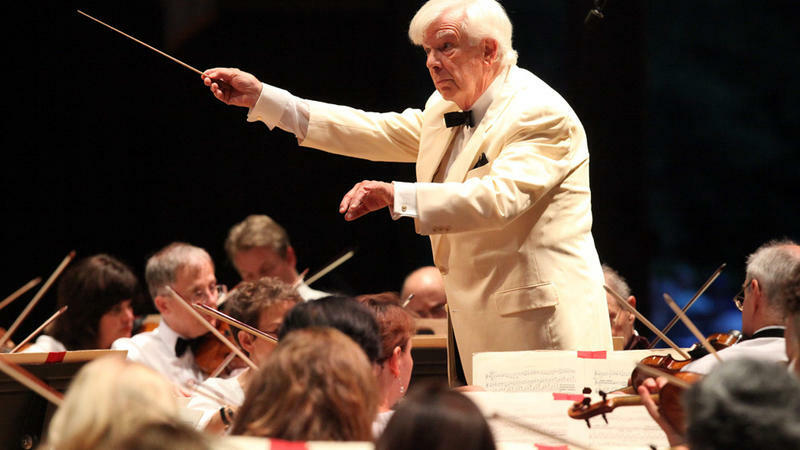 But 75 years ago, when the Boston Symphony first performed on a former estate called Tanglewood in the Berkshire Mountains of Western Massachusetts, it was a novel idea.